Together with the romantic cruise Halong Bay, artificial beach "Bai Chay" has adorned Ha Long with a beauty that attracts many visitor. So, if you set foot here, how would you enjoy lunch? Follow this useful post from Origin Travel and hope you can find right restaurant & food in Halong. Most restaurants have specialty, but the price difference is inevitable. Please capture the price list on the menu. It is possible for seafood to have allergic reactions or abdominal pain. Before going to the lunch restaurant in Bai Chay, let's go explore this place. Bai Chay, a name that makes anyone curious to hear the curiosity. That particular name, from where is it? According to legend, Bai Chay was the place where the army of Nguyen Mong troop headed by General Truong Van Ho attacking our country was attacked by General Tran Khanh Du and Tran's troops. edge. As many of the enemy boats were burnt, the North East wind blew fire on the west coast of Cua Luc as the nearby dry forest was also burned down. The burnt forest today is called Bai Chay. Bai Chay has an artificial beach, located along Ha Long Bay with the sandy beach with a length of over 1000m, width 100m. The topography here is a low-rolling hills leading to the sea, extending more than 2 km of ancient pines. Besides the interesting things. Bai Chay - Ha Long is also famous for delicious specialties food. Such as squid, grilled oysters, clams, fried snails, fresh seafood, ... Squid is processed food Sophisticated, fresh from pure squid should taste delicious characteristics. Despite the relatively high cost (300,000 - 450,000 VND / kg). But it is still crowded with tourists to buy. Grilled oysters on the charcoal stove with fat water and lemon wedges with a cold beer are an irresistible attraction. Same with oysters, but smaller, lighter shells. Ha takes the processing time slightly but in return for the delicious sour soup is delicious, especially in hot summer lunch. Address: Group 5, Zone 9, Bai Chay Ward, Ha Long City. Thien Anh is a restaurant with nice view, open air, parking lot convenient. With luxurious space, warm hospitality and dedicated service, the restaurant promise to bring satisfaction to visitors when visiting. Address: Hoang Quoc Viet Street - Group 9, Zone 9, Bai Chay Ward, Ha Long City. This is a restaurant with elegant architecture, delicacy specializing in providing fresh seafood with the brand. 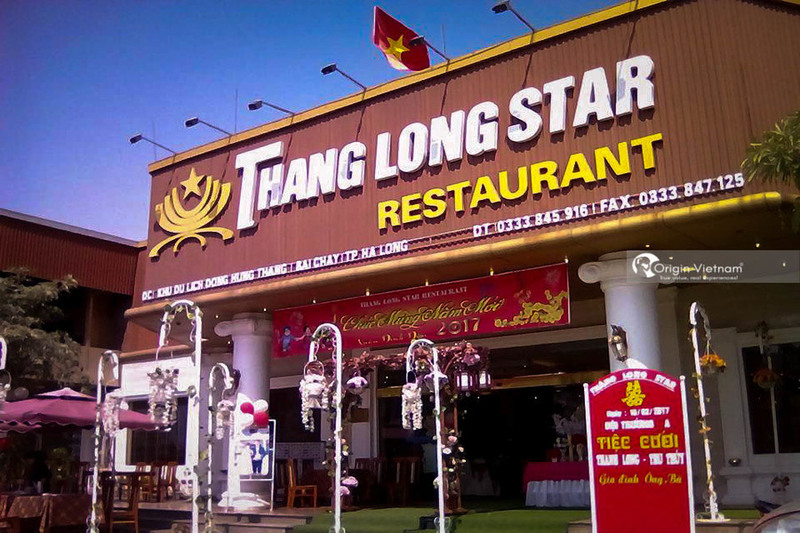 Thang Long Star is also prominent with the extensive campus, extensive. 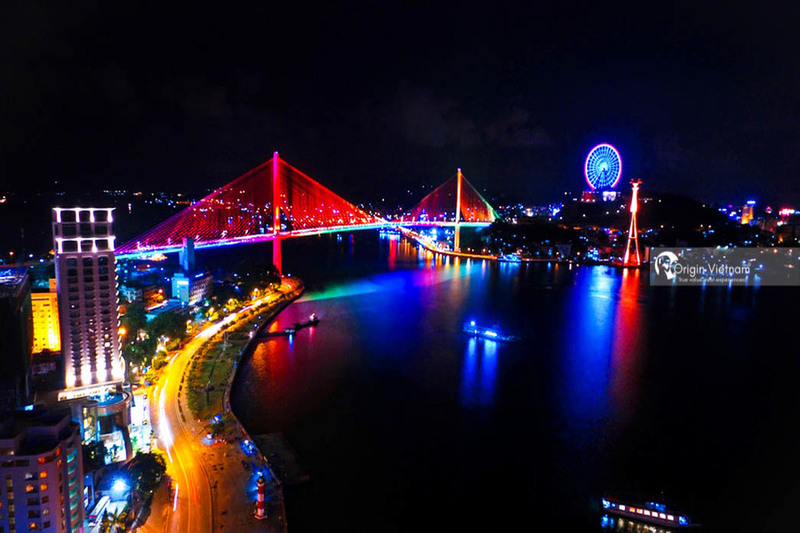 Address: Dong Hung Thang Area, Bai Chay Ward, Ha Long City. Vietnamese restaurant is very convenient when located right at the fire beach. In addition to dining, the restaurant also impresses with the unique ethnic musical performances. 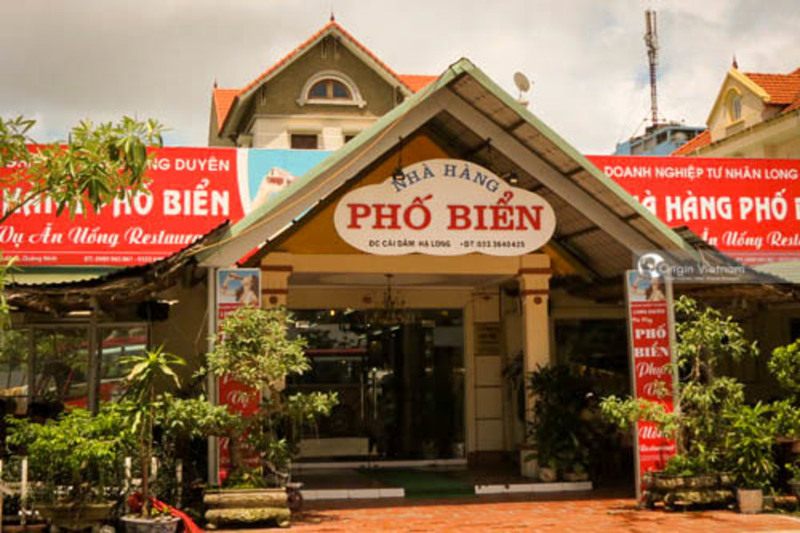 Bien Hoa is known as a restaurant offering many delicious dishes at affordable prices and attentive service style. Address: Group 5, Zone 9, Bai Chay, Ha Long City. This is a restaurant specializing in seafood specialties, the staff here is very attentive, enthusiastic. If you are a fan of freedom, love to discover new or simple. 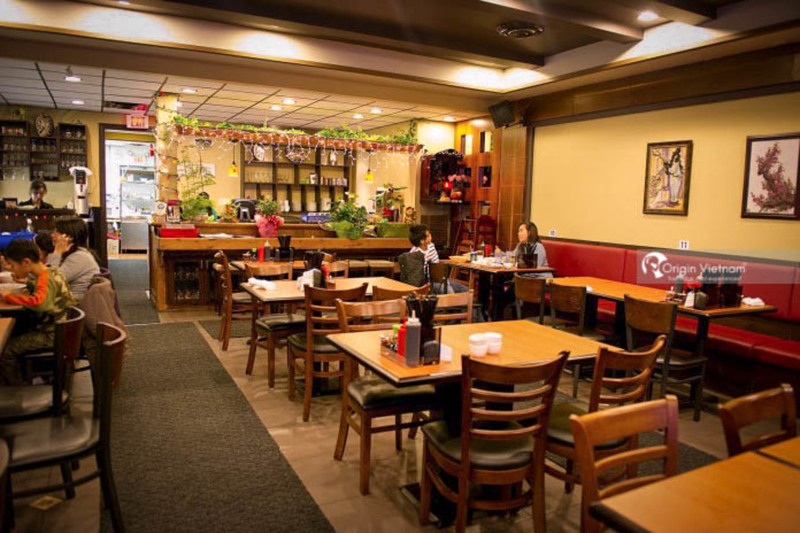 You just prefer the rustic place with reasonable prices, you can completely choose lunch at Ben Doan food street. It's far from Bai Chay about 1km. This culinary street stretches along the Tran Quoc Nghien coastal road, covering an area of about 11,000 square meters. In addition, more than 60 outdoor booths serve only from 16:00 pm until midnight. All remaining booths serve all day long. From the distance, your sense of smell has been awakened by the scent of passion coming out of oysters, oysters, oysters, grilled snails... At this time, we should call a glass of cold beer with oyster plate and letter Relax in the cool breeze bringing the salty taste of the sea. Before you eat at any restaurant, choose carefully. Also, if you eat outside the sidewalk, you should also ask the price before choosing the item. 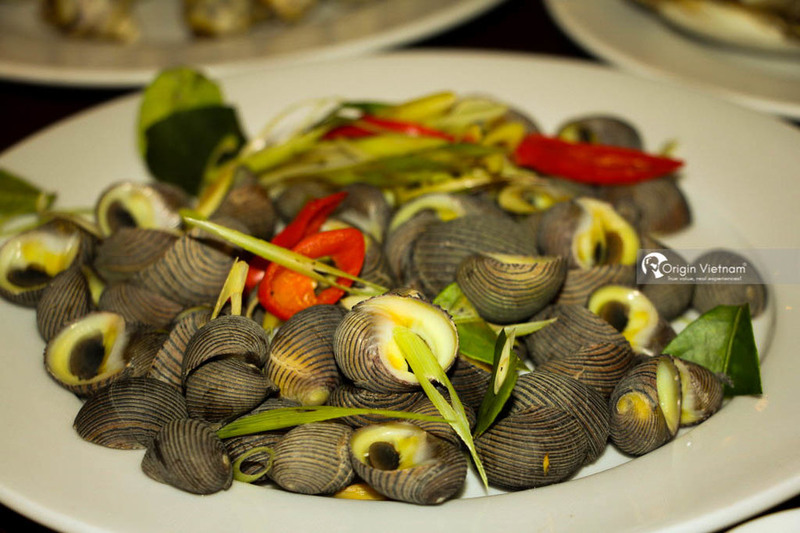 For details about notes here are tips for safe dining of seafood in Halong. 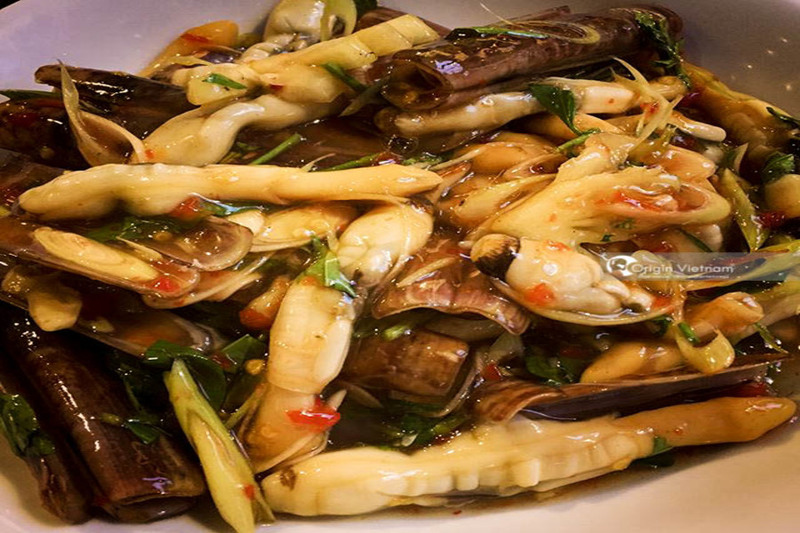 Visiting Bai Chay and have fun here, do not miss lunch and interesting restaurants here by the fresh seafood, carefully prepared, bring great taste and special. More energy for fun activities in the afternoon. Do not forget to share with us your memories here. Wish you have a fun trip and great meals! You may need to know things before travel Ha Long Bay and recommended overnight cruise halong bay.